The Memorial Art Gallery lost a great friend and supporter on October 9, 2014, as Robert L. Sproull died peacefully in his sleep. He was 96. A former president of the University of Rochester, Dr. Sproull and his late wife, Mary (who died in 2012), were advocates and generous donors to MAG. In May 2004, they established an endowment for the support of Gallery exhibitions. The Robert L. and Mary L. Sproull Fund is now valued at more than a million dollars. 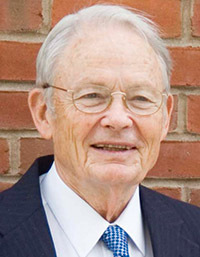 Gifts in memory of Dr. Sproull are to be added to the Fund.